Vladimir Putin had a working meeting with Governor of the Vladimir Region Svetlana Orlova. 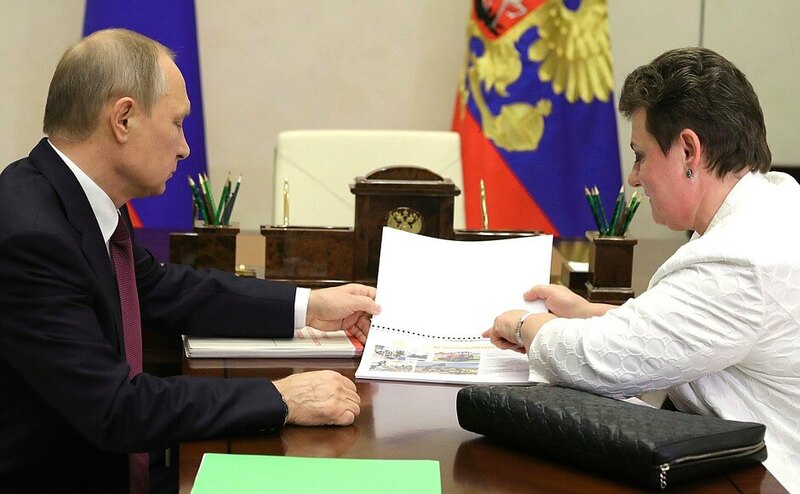 The discussion between Vladimir Putin and Svetlana Orlova focused on the indicators of the region’s socioeconomic development and the appeals that came from the region’s residents during Direct Line. 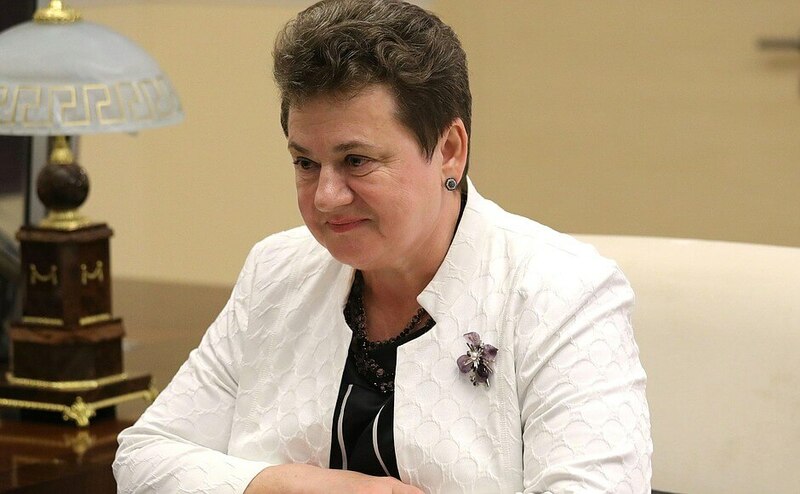 Vladimir Putin drew the attention of Svetlana Orlova to the problems raised by the region’s residents during Direct Line with the Russian President. In particular, they complained about the inconsistent actions of the local authorities, problems involved in the relocation from dilapidated housing and the allocation of land plots for building houses for large families, incomplete construction of schools and environmental issues. President Putin passed these requests to Ms. Orlova, emphasizing that people have asked tough questions that must be answered. The Governor was instructed to analyze all of them and report on future actions. 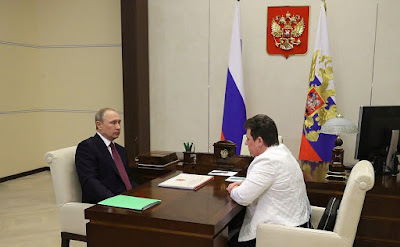 Vladimir Putin with Governor of Vladimir Region Svetlana Orlova. 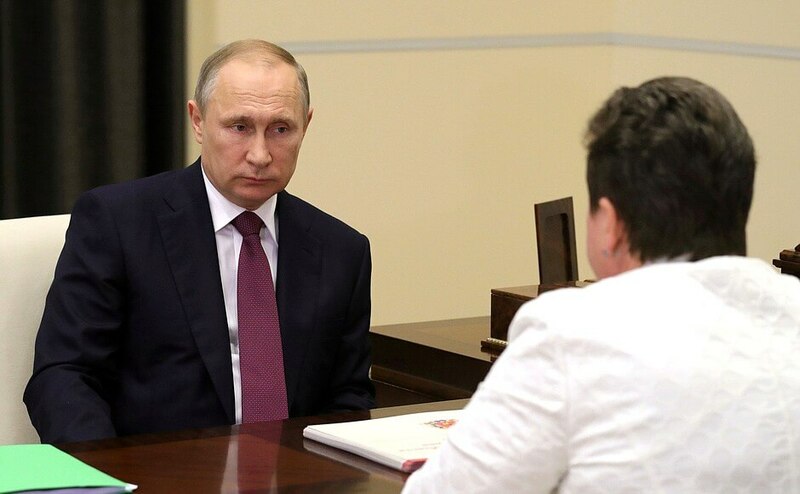 Vladimir Putin at a meeting with Governor of Vladimir Region Svetlana Orlova. Governor of Vladimir Region Svetlana Orlova. 0 Comment to "Putin met with Vladimir Region Governor Svetlana Orlova"